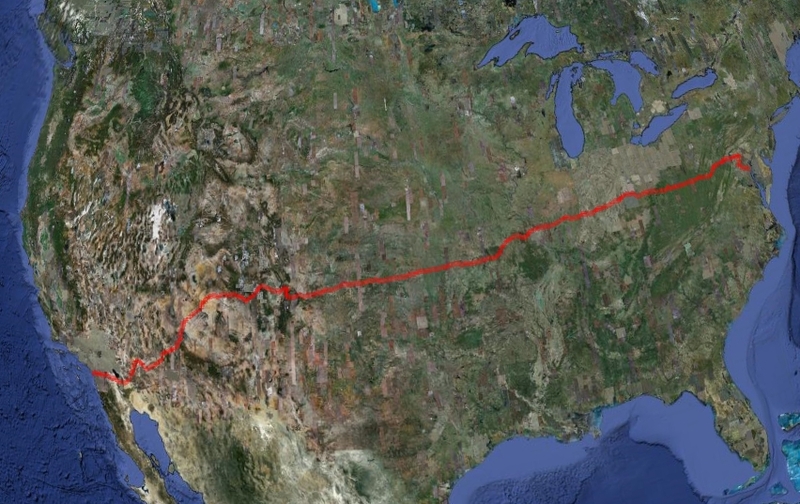 The grueling coast-to-coast Race Across AMerica (RAAM) has been held every year since 1982. The race starts at The Oceanside Pier in Oceanside, California (halfway between Los Angeles and San Diego). The route runs 3000 miles through 16 states, ending at The City Dock in Annapolis, Maryland. Solo women start June 12, solo men start June 13, and all teams start on June 16. Teams can be composed of two, four or eight riders. Solo or team, all racers ride around the clock, only taking a break when they decide they need sleep or food. The record for solo men is 8 days, 9 hours, 47 minutes. Solo women, 9 days, 4 hours, 2 minutes. For teams in our division, the eight-person team, the record is 5 days, 9 hours, 3 minutes. Our goal is to finish in 6 days. Although RAAM itself is not a charity, more than half of the entrants use RAAM as a platform to raise funds for their favorite charity. In each of the past four years, racers raised more than $1,000,000. RAAM gives out the Lon Haldeman Award each year to the team or individual that raises the most money for the charity of their choice. In 2009 the GCG raised over $82,000 and came in a very close second overall for this prize. In 2010 we raised $123,000. 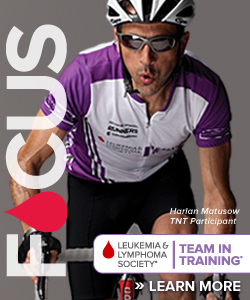 With the help of Team in Training, the Georgia Chain Gang’s goal is to raise $200,000 for The Leukemia & Lymphoma Society in 2012!